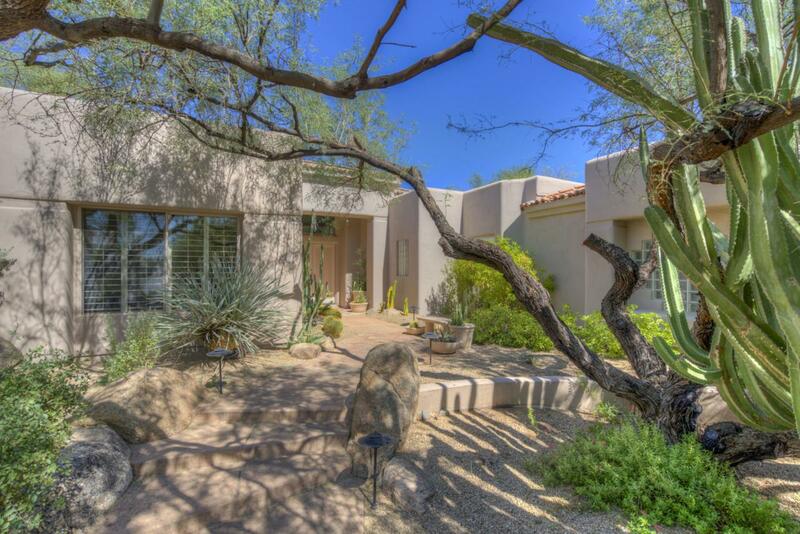 Tucked away on one of the most loved streets in the Boulders, this home is a great value. 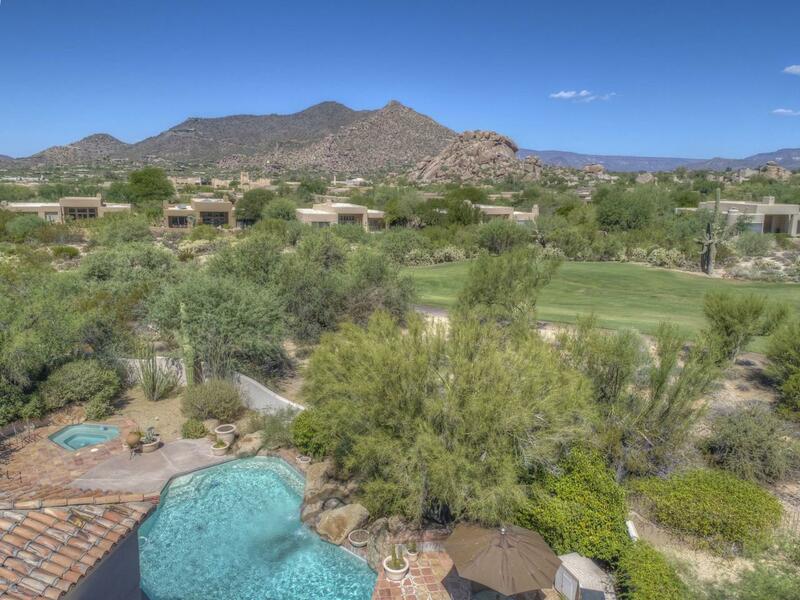 Flanked by extraordinary cactus gardens, positioned to take in sweeping views of Black Mtn., boulder outcropping & the 9th fairway. Versatile floor plan offers numerous configurations. Master bedroom is roomy & has well-appointed bath. 2 guest rooms each w/ en-suite baths. Office w/charming old world doors & large wine room. Living room has oversized windows & impressive fireplace . Kitchen is sunny & bright w/ breakfast area, SubZero refrigerator, double ovens & gas cook top. 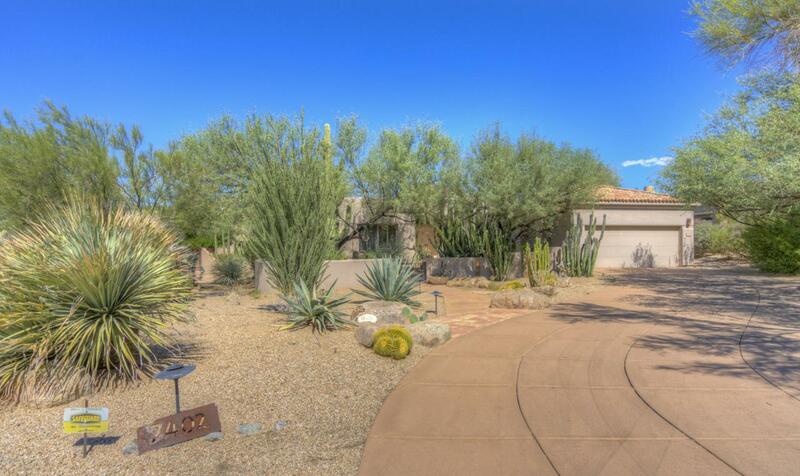 Grand patio lends itself to multiple entertaining options w/ large pool, spa and outdoor cooking area with kiva fireplace. Pool area has dedicated bathroom as well. 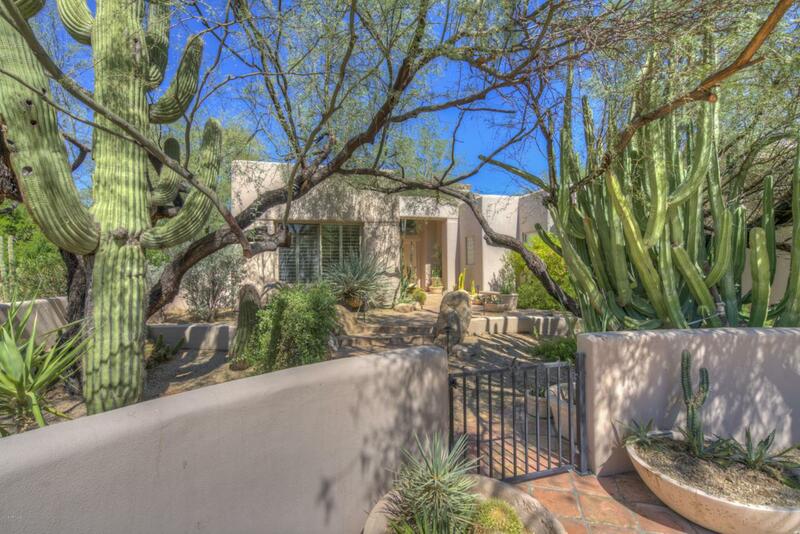 Tremendous potential abounds for a savvy buyer.